Come and join us on Sunday at 3 pm in the Auditorium of Bellas Artes for a Wine & Cheese reception and Silent Art Auction benefiting the Literacy Through Art program for underprivileged children of San Miguel. 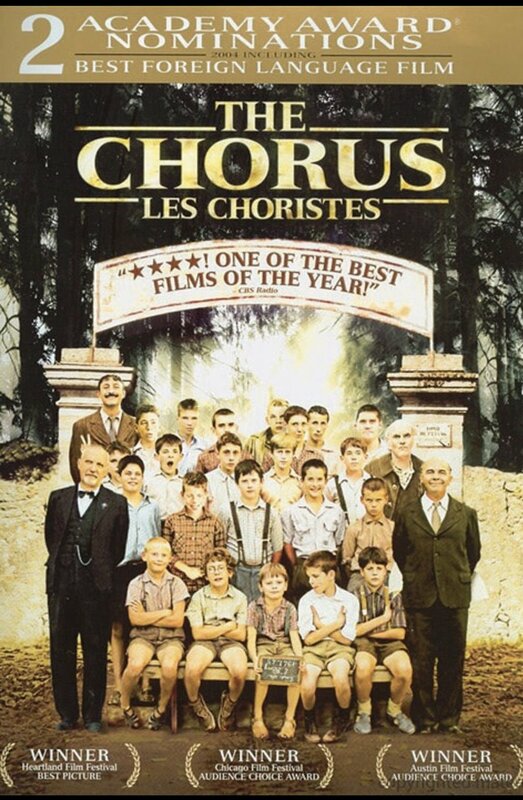 At 5 pm we proudly feature The Chorus (The Choristes, 2004), an amazing award winning film shown at the Berlin film festival in 2004. It emphasizes the importance of art and nurturing in children. The Chorus, directed by Christophe Barratier, is a drama inspired by the 1947 film A Cage of Nightingales (La Cage aux rossignols) by Jean Drévill. It narrates Pierre Morhange (Jacques Perrin) childhood memories, when he attended a dreary boarding school. During this period, little Pierre has the fortune to encounter with Clément Mathieu (Gérard Jugnot), the new music teacher, who inspires Pierre’s life by teaching him the hidden musical talents that he has while attempting to change the reactionary policies of the school ran by the strict headmaster Rachin (Francois Berléand). Listed as top 10 Best movies ever released. Enjoy an evening filled with marvelous artwork, fun, and a beautiful film with music from Bruno Coulais (Coraline, The Crimson Rivers). Michael Hoppé Concert "Beneath Mexican Stars"